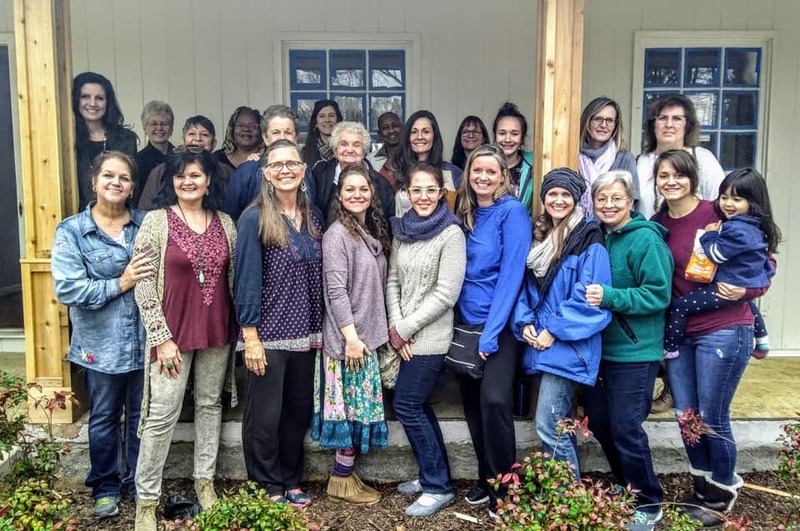 A prayer team of 30 ladies gathered together from all walks of life, various churches and nationalities, and through FaceTime from Galleria Woods to Ohio to Mississippi and from Australia to South Africa, to come before God and seek His face for the House on the Hill. God has risen an army of prayer warriors who have committed to pray over the miracles and needs that will happen at The House on the Hill. Our army is on their knees. *If you want to join the army, email natalie@gracekleincommunity.com. As the floodgates continue to open over this place, celebrate with us the wonder of our Father. 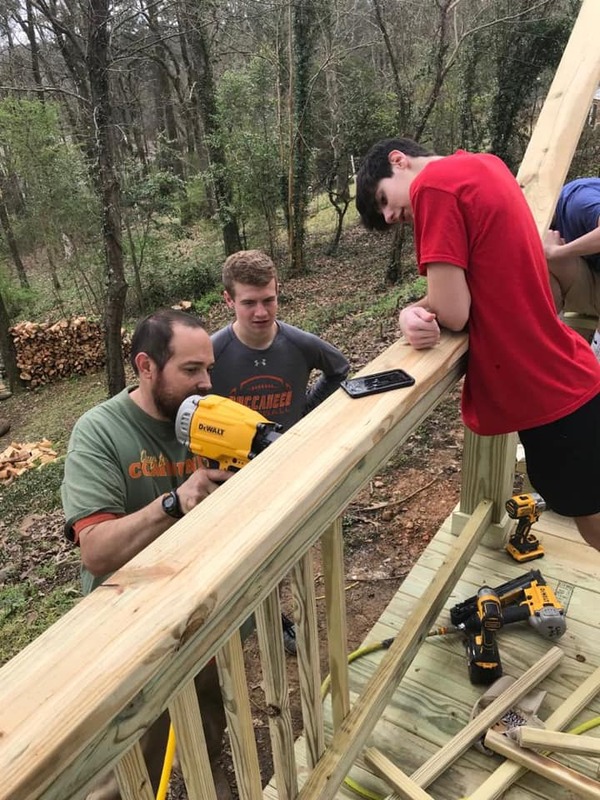 Community men have come every Saturday and our God has held the rain for the deck progress and yard clean up. 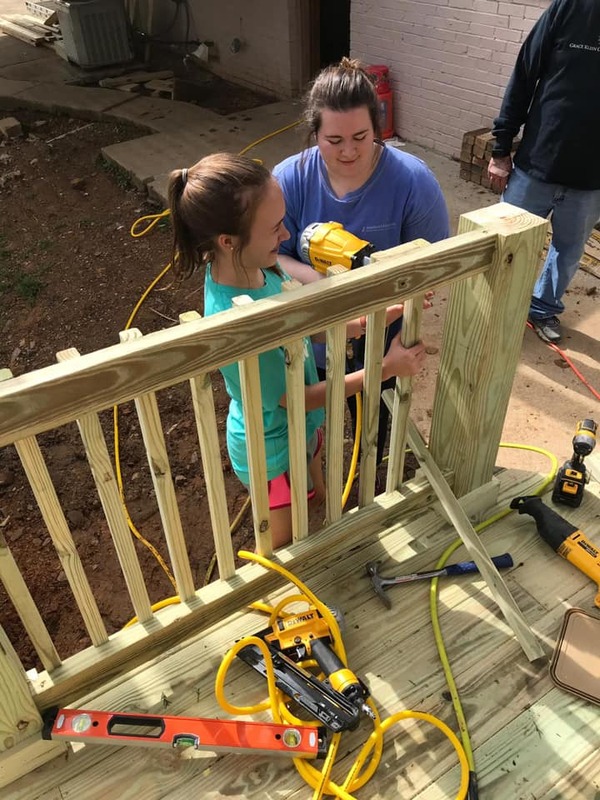 Teenagers, and their vital leaders, from FBC Birmingham and Shades Mountain Baptist have stormed the land with helping hands from yard clean up to toiletry organization, from breaking up pallets to writing encouraging notes, from wood splitting to shoe sorting. The firemen have popped by for a visit the last two Saturdays, a secret giver worked chainsaw magic to cut up downed trees, the plumber has the downstairs pipes in and we are ready to cover them with concrete, the electricians have hung many of the lights, the master vanity is installed, Cutstone Co. committed to donate the kitchen sink and granite countertops, Cahaba Glass is donating the repairs to four broken glass panes, Latta Paint & Floor committed to complete the exterior painting, friends from Florida are sponsoring the linens for four twin beds, and on and on the blessings flow. With all the hurry up and wait, God is moving. The service upgrade was approved and released by the inspector and we are in line with AL Power for our service upgrade. Huffman Electric has almost all the lighting installed. When the serve switches over they will be able to set out the canned lights. 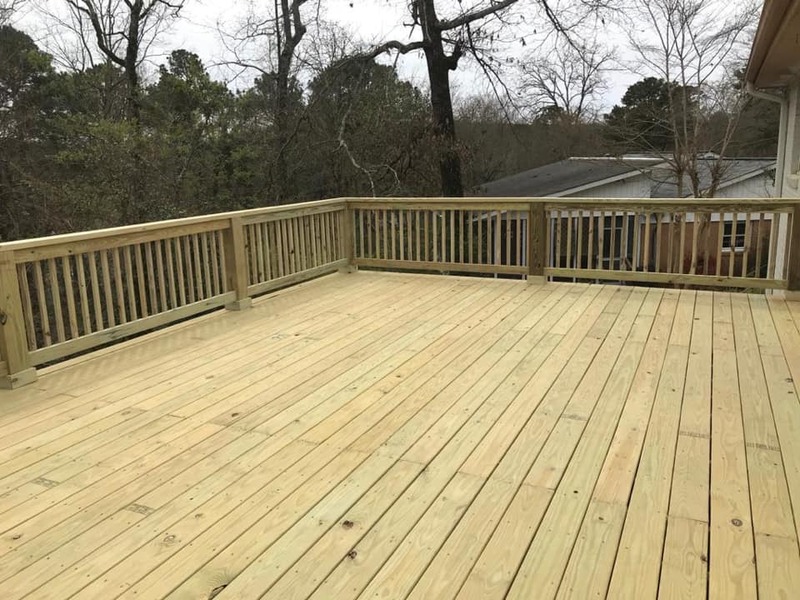 Thanks to our Jesus and the prayers of the saints, the rain held off several Saturdays in a row and the deck is finished!!! 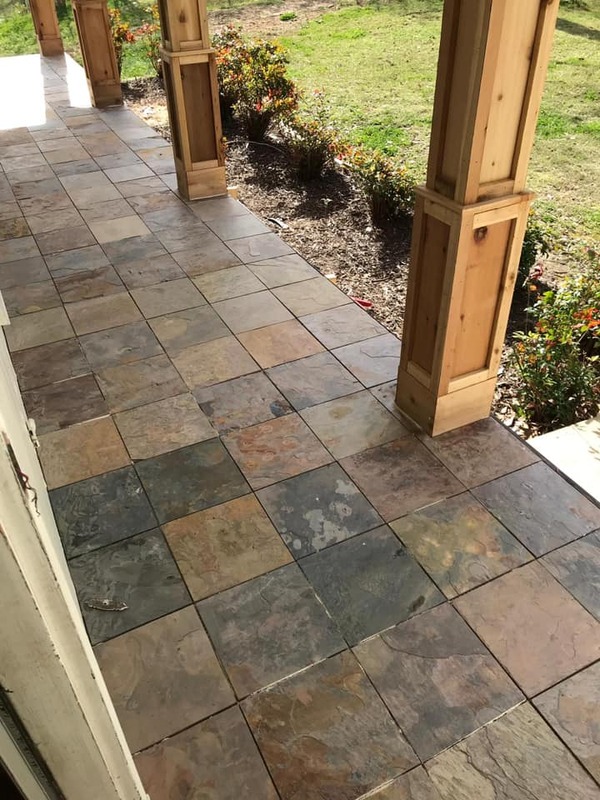 We are ready for two matching outdoor rugs and cozy outdoor furniture. Do you have anything you wish to share? 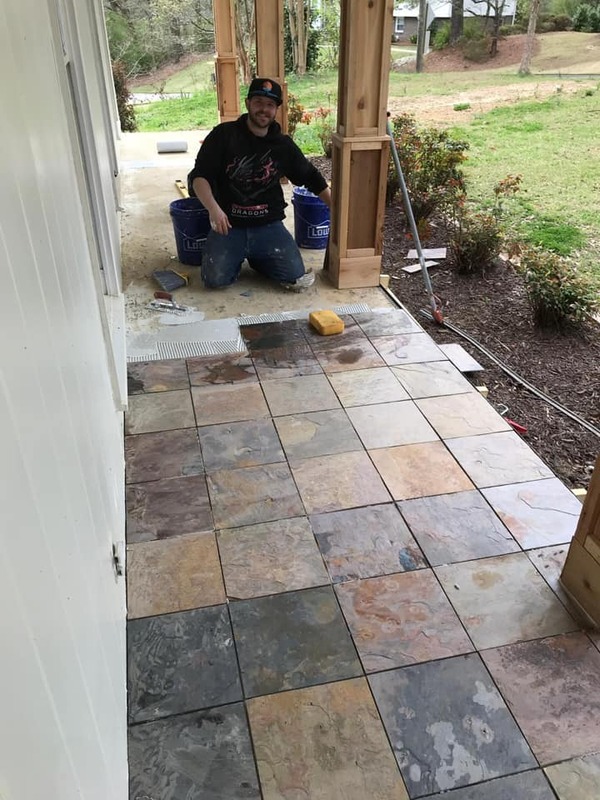 Brandon Rose donated the front porch tile install and will be back later to grout the tile. 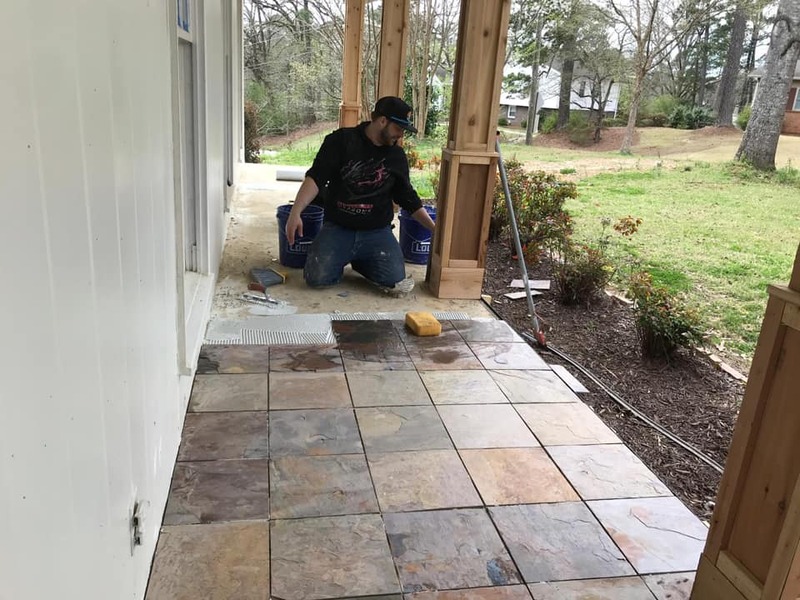 If you need any tile work, please schedule a free estimate with Grace Klein Construction, Inc. as he installs on many of their projects. We will be featuring all the business partners who have invested in this project again soon and encourage everyone to support the Birmingham businesses that serve our community. 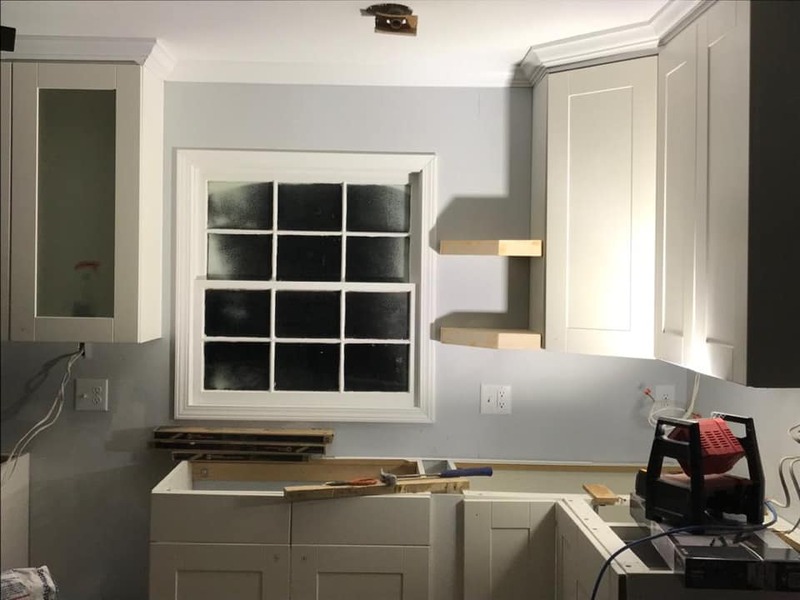 The gas range is ordered and will arrive soon and the granite is being templated thanks to the generosity of Cutstone Company. They are even throwing in the kitchen sink! We are praying for funds for that gas range and also funds for the refrigerator. If you want to sow into the project, we would appreciate any amount from $5 to $5,000. Robbins Complete Service donated new units and has them installed. As soon as the power service is connected they will be able to finalize everything. 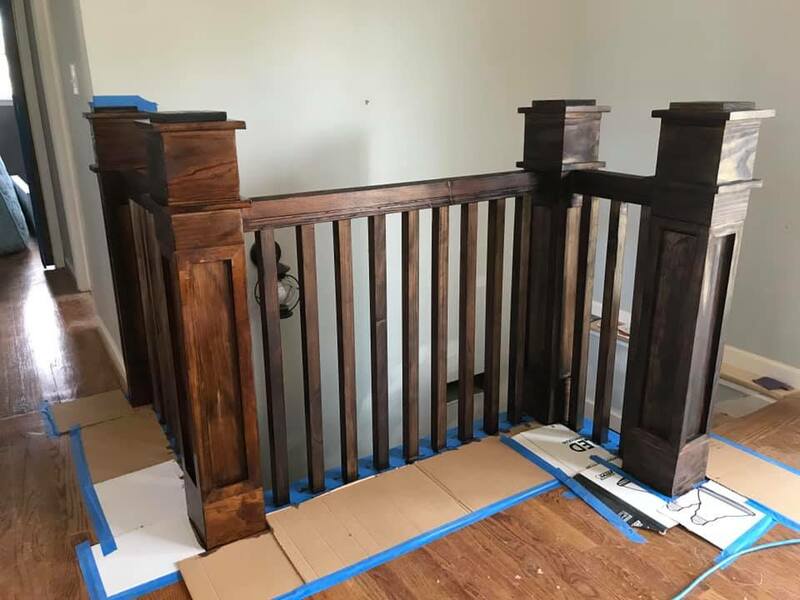 The stairwell is stained to match the exterior doors, two sweet little shelves have been installed on cabinets, and other shelving has been primed. Save the Date for our Open House on May 4, 2019, from 4-8pm to come see and celebrate what God has done through hundreds of His people. 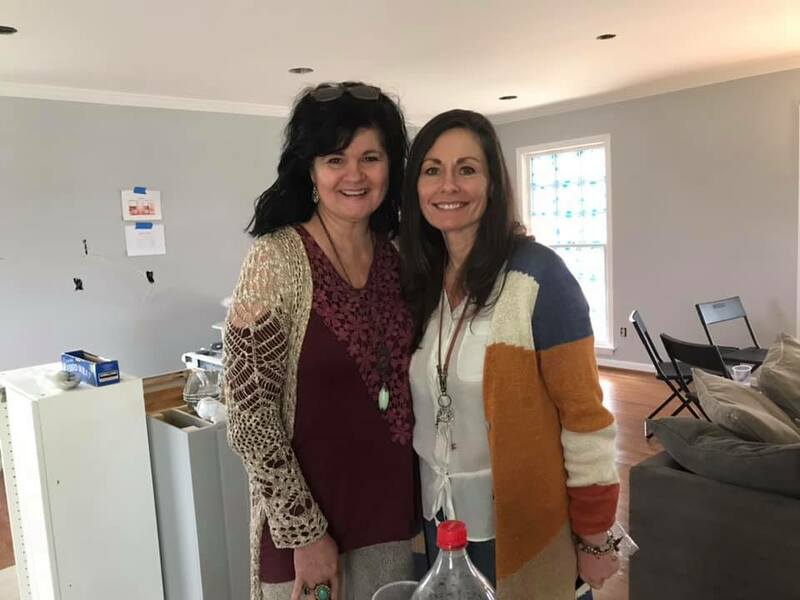 So far, we have received donations for “The House on the Hill” Open House from Milo’s Tea, Buds Best Cookies, Pinky Fancy Faces, Jimmy John’s and Chickydoodle. 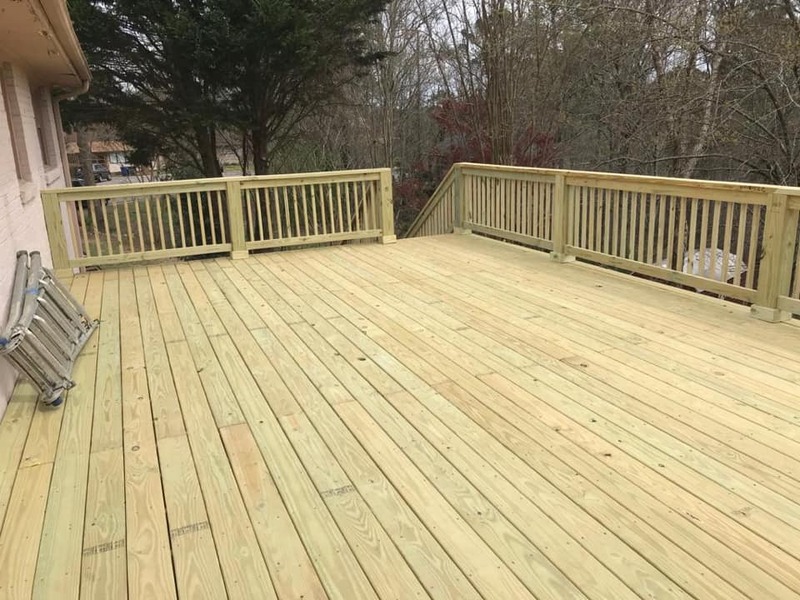 We will have a drum circle outside by Rainman, before and after pictures of the project, food, friendship and a special prayer time over the home. Other surprises forthcoming. 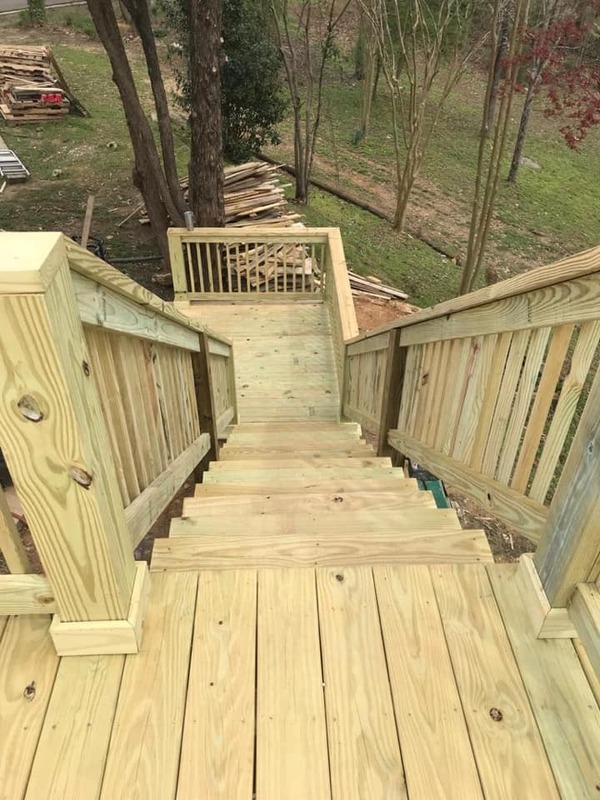 How can you help move this project to completion?? 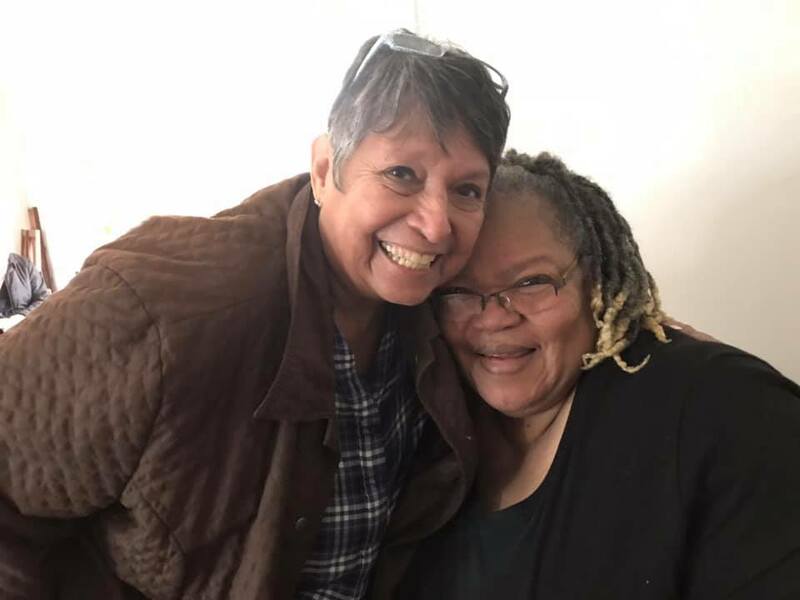 Give towards the cost of the range, refrigerator, tile material and the lighting we purchased in faith to keep project moving. Come work in the backyard with chainsaws, a stump grinder, rakes, a weed eater. So much clean up still needed. Help us locate a donor for seed and straw for the yard. Or dream big – SOD! Donate extra lawn furniture, clay pots, decorative yard stuff. Clean bathrooms and floors and general constant settling of dust. Y’all know how it is. Commit to be 1 of 100 monthly $12 donors. We have 17 so far. The funds of the monthly donors will cover sustainability of the home. Email natalie@gracekleincommunity.com to come serve individually or to schedule a serve team time. Our dream is to testify at the Open House how God turned April into a miracle completion month. Eight months in and a million stories of what Jesus has done!! 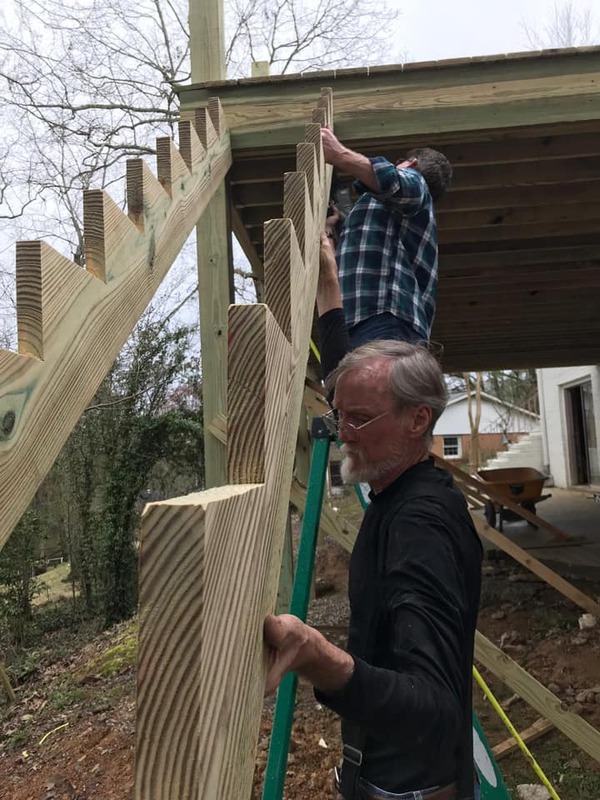 Thank you to all the businesses, skilled workers, restaurants, serve team groups, churches and individuals who have joined in to carry this project forward. No words for how God has used each of you for a project so much greater than all of us!